Note: Check out this guide to learn how to fix your website if it was impacted by Medic. 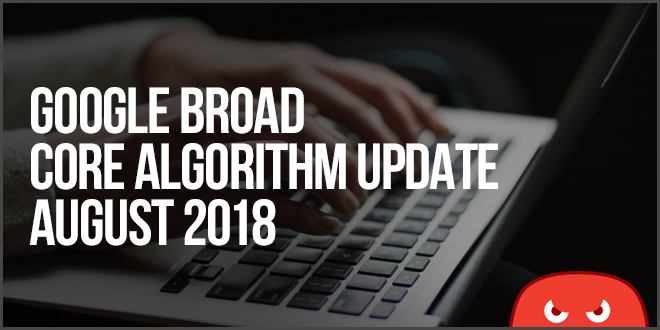 Google announced the release of a broad core algorithm update on August 1, 2018. The update was announced via Google’s Danny Sullivan on the Google SearchLiaison Twitter Account. When pressed for details regarding what webmasters should do to avoid negative effects from the update, Sullivan suggested reading Google’s Quality Raters Guidelines. In other words, Since this is a “broad” update, there isn’t anything specifically targeted that SEO’s should adjust. A broad core algorithm update like this is a refinement by Google intended to improve the search results for better quality in general. The bottom line about this update is: Check your rankings to see whether or not they were affected. There is no specific “fix” if your website was negatively impacted, rather, you can try to improve your content according to Google’s guidelines. We always wait to collect data before giving advice. Be wary of changing anything rapidly as sometimes updates take days or weeks to roll out. 1. There isn’t currently a strong consensus about which rankings were affected. Some SEOs reported local rankings going up and organic rankings going down, while other SEOs reported the opposite. 2. That being said, it does indeed seem to be a big update, not impacting all sites but having a large effect on the sites that were impacted. Apparently, many large chains with multiple locations across the country have dropped in rankings in favor of smaller, locally based businesses. 3. Since both organic results and local results (map listings) seem to have been affected, this indicates a change to both of the organic and local ranking algorithms. 4. YMYL pages (“your money or your life”) seem to have been affected. These are web pages dispensing medical or financial advice. Google wants to make sure it’s only ranking pages written by experts so that no one gets harmful advice. “Trust-worthy” pages are referred to as EAT pages (experience-authority-trust) and indicate the quality of the page to Google. So YMYL sites in niches like diet, nutrition and medical device have reported being impacted more highly by the update. In our form below, we asked what changes you may have noticed. Let’s see if they line up with the other effects being reported as this update continues to roll out. 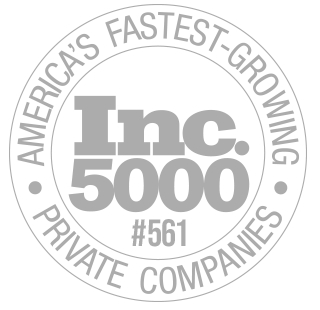 Who saw an increase in their traffic/rankings? One user reported, “Big big jumps in rankings” for their eCommerce store selling vape juice. The SEO activity they were engaged in was toxic link disavows while focusing heavily on their blog content. While other websites filled out our form from a variety of niches including law and supplements, not all of them filled out the form with their observations (they just left their URL). We think those sites went down in their rankings, but can’t be sure without the users’ description. Rather than relevance, the factor seems to be the entity putting out the article. Google may be looking for content geared toward health to be written by health and medical professionals. Or if not that, then content about health written by authority websites rather than niche ones. This site recommends medical devices, which falls under the YMYL type websites that have been hit by this algorithm. So the reported effects for this user line up with the general reports that are coming out. This user reported a “30% drop” in their rankings even though the only SEO they’re doing is organic content (no SEO tricks). This is another example that lines up with the YMYL type sites that reported drops. They were doing nothing too crazy, just content creation and some backlinks here and there making this another confirmation that Google doesn’t want just anybody giving health advice. There seems to be a trend with these reports, doesn’t there? Note that the 2 previous examples of health and nutrition blogs that got hit were in 2 different languages, and this one is in a 3rd language still. So the topic of the site seems to be the factor. One thing these anecdotal examples help confirm is that some of the sites noticing the biggest impact are in the medical niche. If they don’t meet Google’s Quality Raters Guidelines for a certain reason, there is a good chance they were hit. What should you do to avoid being hit by this broad core update? Based on the reports we’ve gotten, it sounds like if your site deals with medical or nutrition-focused content, there is a good chance it will have been hit by this update. It seems like the algorithm is favoring authority sites or actual experts, but in general, those experts are often writing on behalf of those same authority sites. So what should you do to make sure the impacts are lessened as much as possible? You may not like the answer, but since this is a broad update, you should continue following SEO best practices as much as you can. Focus on building your site’s authority as a brand (Google gives preference to brands that get more search queries than their competition). If your website was hit by the Medic update, check out this guide to learn how to fix it. ← Want Awesome Links? You Need This First! 34 current tracked ranking projects – 100% slight swing up in desktop – some variance in mobile, and on the Bing front – slight drops for the most part at the same time… Google Maps- no change. Awesome, thanks a lot for sharing your observations on what may have been affected! lol what does Bing have to do with anything? Thanks for sharing the changes you noticed. Finally a blog post which can give me the reason I’m trying to look for. A very good friend of mine is a super specialist (many degrees, works in public hospitals, has his own private medical offices etc) is one of the pioneers in medical blogging, and was used to something like 8000 users (in Italy this is huge, guys) every day. This isn’t the simplest question to answer in a comments thread, but I’m glad that the article pointed you toward finding a solution. I think that you have to do a check on his website like you already have begun doing to make sure the backend technical factors and on-page SEO factors are as good as they can be. It would also help to have content (articles) for each separate local region so that when someone from that region searches for his medical specialty + their region, those articles show up. Hope that helps you get started! This doesn’t really make sense. How can Google check who’s an actual expert or not? For example, Dr. Mercola’s website was also hit by this update, but he has been around for a long time and has been featured on popular websites and TV shows. This is just one example. Other big names in the health and fitness were also hit. Doesn’t make any sense to me all. Yep, I totally agree with you. It doesn’t make total sense because these types of sites haven’t been hit in a consistent way, they are just the ones that tend to be getting hit, and I’ve seen some SEO chatter of actual medical professionals, financial or legal professionals being hit even though they are experts. This site doesn’t seem to have been hit as hard, for example. It means the update wasn’t perfect, and my interpretation is there are some factors on those sites such as having products for sale (e.g. Mercola) alongside the advice that make it “less authoritative” even though the content is well-researched. What do you think? Yup!! Something for sale might make a dent but lately I have found amazon affiliate links on Healthline as well. Won’t that amount to the same thing? Mercola atleast have the products in house. What’s ur thoughts? It’s hard to say, because I don’t think there’s a hard and fast rule that says “If google sees affiliate links in health content they will downgrade its rankings”, all we know is that Google has a guideline for health sites that’s stricter in terms of monetization and many health sites were hit. Mercola has their products in-house but it’s still presenting informational content while having a store, so we can speculate, but there’s no way to attribute the presence of products for sale on a health site for it being downgraded. Thanks for sharing this details with us. It could really help out the website owners to adjust their website accordingly. Great, glad you got the information you were looking for! I faced some indexing issue in this update. Some posts are de-indexed in some countries and showing in other countries (I checked through VPN). But now slowly, all de-indexed links are indexing and dropped traffic also increasing. Thanks for sharing. What niche or type of content does your site focus on? It looks like your site might have some red flags on it that could be getting in the way of the content. Check out best practices for on-page SEO and make sure you aren’t linking to bad quality external sites. It’s interesting that your niche got affected too. We got a lot of reports on the medical niche but are seeing other niches that offer other forms of advice such as the legal, financial, and a variety of online stores in various niches. I think it makes sense that your content creation was the major factor as in my opinion, Google is updating its algorithm in a way that prioritizes the content quality over other factors. Nice Information about the algorithm update. My position is replaced by a site that has lots of pop up ads and full serp is showing unnecessary results. Thanks for sharing your changes observed. This expert thing sounds a bit strange in medical industry. I have seen badly written “quality” sites ranking above those going far too technical. Obviously google cannot make head or tail of it – and it tries to look at other aspects as well for rankings. Yes, I don’t think there is any hard and fast data that Google can use. Rather, they try to provide the most authoritative and trustworthy content, and they likely try to work it out to favor writing and authorship by experts. I have experienced a massive 2 million jump in Alexa ranking for my blog after the update. Also, I have started ranking in India particularly. Gotta check out the keyword rankings though. Thanks for the insights. Now I will focus more on optimizing my content of previously written articles. Sorry to hear that, we have a post coming out soon with some advice for what to do. I saw sites coming up to page two that were not manipulated in an way but had been well written for an seo campaign. These articles are pretty long for the niche (reflux treatment) and they are more holistic and have outbound links to sources to support statements in the text. Thanks for sharing the observation! This algorithm update drastically drop our Alexa ranking. The good thing is it doesn’t affect our organic traffic and ranking. I hope you could provide more case studies for other niches. Thanks! I found my medical and dentist related sites drop in their SERP ranking on 8 AUG 2018. Till now, no solutions found, even one of Google’s people told me that this update will not kill any organic ranking and to defend against this update nobody can do anything. This is very serious happened with many sites this year. Google has emphasized that there is no specific fix. It’s hard to stomach but a good reminder that any SEO we do is ultimate at the whims of Google. I have faced some indexing issue in update. Some of my posts are not indexed in some of the countries and some showing in other countries (verified through VPN). But now slowly, all de-indexed links are indexing and dropped traffic also increasing.